14 kilometres from the city centre. 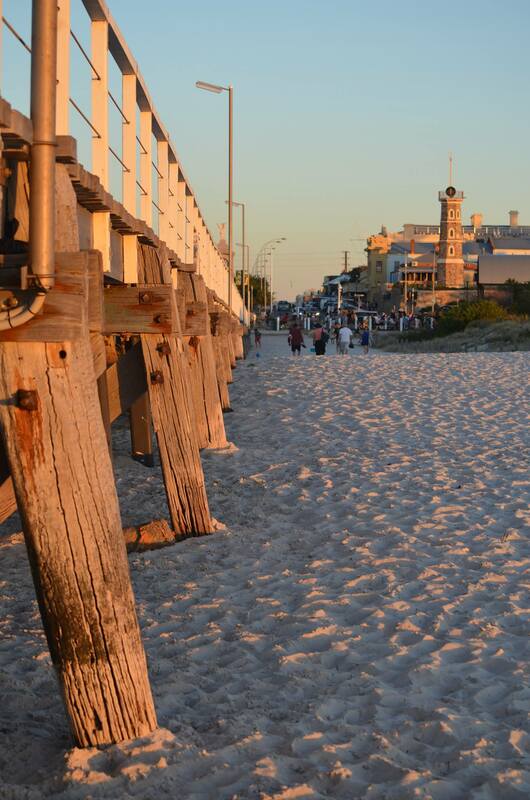 Semaphore Jetty looking back toward Semaphore Road on hot summer night! 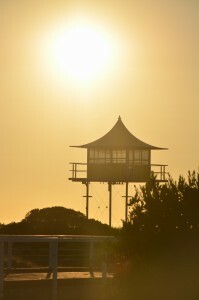 Peter Jamieson Tower at Semaphore beach on a hot summer night!